After our delicious breakfast of watermelon and cereal, we packed our bags and made our journey to a tiny fisherman’s port to board a luxury boat where we would be spending the rest of our day. We were told everything would be provided for us including snorkels, food, and even towels so all we needed to take with us was a pair of sunglasses, a bikini and an eagerness to jump in the sea! I can easily and honestly say that this was one of the best days I’ve ever had. Because I was having the time of my life (literally!) I got a bit carried away with my camera and took hundreds of photos! I desperately want to share them all with you so I have split the day into two blog posts. The second part will come tomorrow! I would recommend this a thousand times to anyone visiting Santorini. It was such a spare of the moment decision to hire the boat but I am so pleased we did because it completely made the holiday. 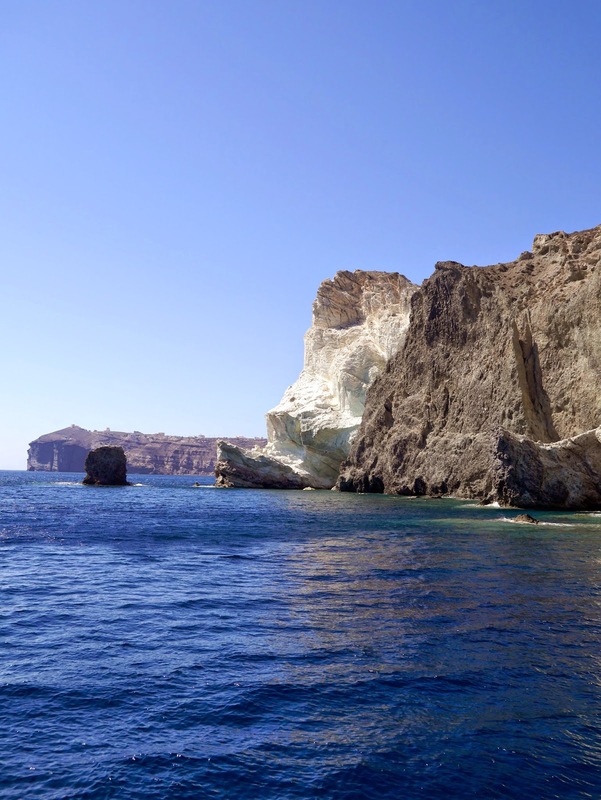 In case you are travelling to Santorini and are interested in the boat trip we did, we booked with Caldera Yachting (we booked in their offices in Fira). 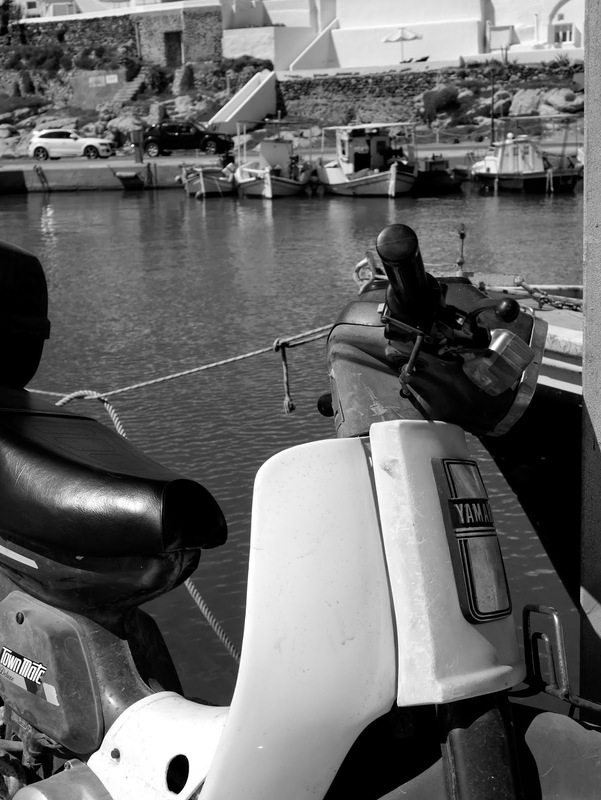 Once we arrived at the small fisherman’s port, we were taken to our boat. It was a 38ft motor boat with sunbathing areas at the front of the boat and at the back – perfect! Our captain introduced himself and told us the route we would be taking. The captain took us around the island and showed us various beaches that are only accessible by boat. We spent the day jumping in and out of the water, daring each other to jump higher up from the boat each time. We were even taken to the Hot Springs, created by the volcano, where the water reaches 33 degrees celsius and contains sulphur, which is great for the skin. The only downside was that the sulphur died the white on my bikini red! But it was a great experience nonetheless. The scenery was absolutely beautiful – even more beautiful than what can be seen from land. I know it’s hard to believe after how many I have shown you here, but I have so many more photos to share! Check back tomorrow for the second half of this day where we continue diving off the boat and then enjoy a delicious meal on the back of the boat while the sun sets. See you tomorrow!